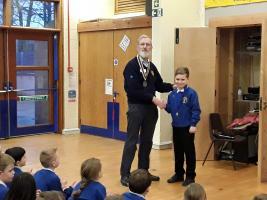 Rotary Club of Carlisle Castle - welcome! Please scroll/swipe down through this page to find out more about us, in addition to the pages linked in the menu, top-left. 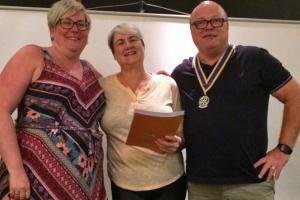 July 2018 saw three new members join the Rotary Club of Carlisle Castle. 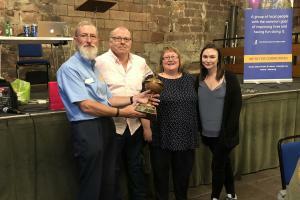 Our 10th Annual Quiz took place at the Tithe Barn, Carlisle on 8th June 2018. Over £800 was raised for Invest in ME Research. 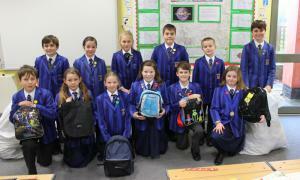 The RotaKids Club of Austin Friars St Monica's School collect two sacks full of backpacks for the Mary's Meals Back Pack Project. Each backpack has essentials for a child to attend school in parts of the world where these items are not readily available. 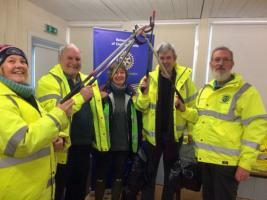 Club members got involved in a community litter pick in Rickerby Park and Stanwix. 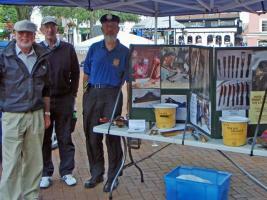 We are always on the lookout to see if there are other groups that we can work with to provide help and support. For us to be able to achieve this however, we need more members and so we are working hard to increase our membership. Further information: Please refer to the programme on this website for further information. If you are interested in finding out more about Carlisle Castle please use our contact page. We'd like to hear from you whether you are interested in joining or if you are a visiting Rotarian. Prospective New Members are welcome to any Club evening.